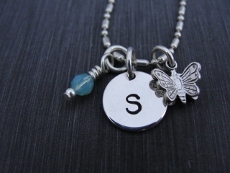 Keep your full name a mystery with our initial necklace. Discs are stamped with your initial or the initials of a loved one. 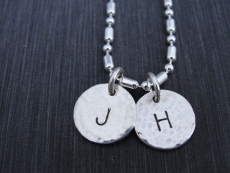 The discs are hung on sterling silver alternate bead chains which are 16” or 18" in length.